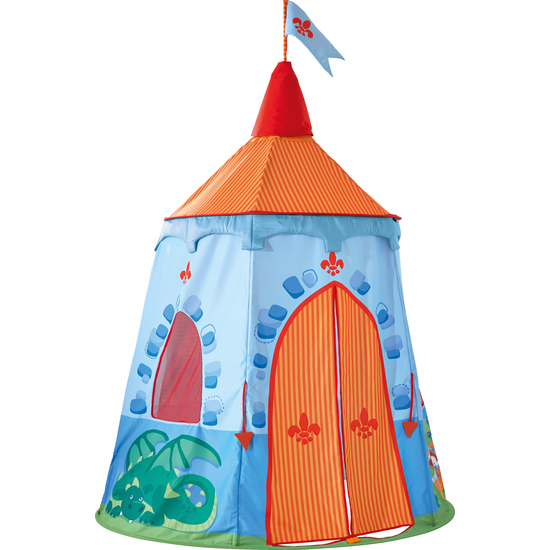 This play tent is the perfect gathering place for all courageous knights to prepare for exciting adventures while sentries guard the hold. Is an enemy approaching? Quickly, close the gates! Plastic poles with connecting pieces enable a quick and easy setup. Floor mat is not included.